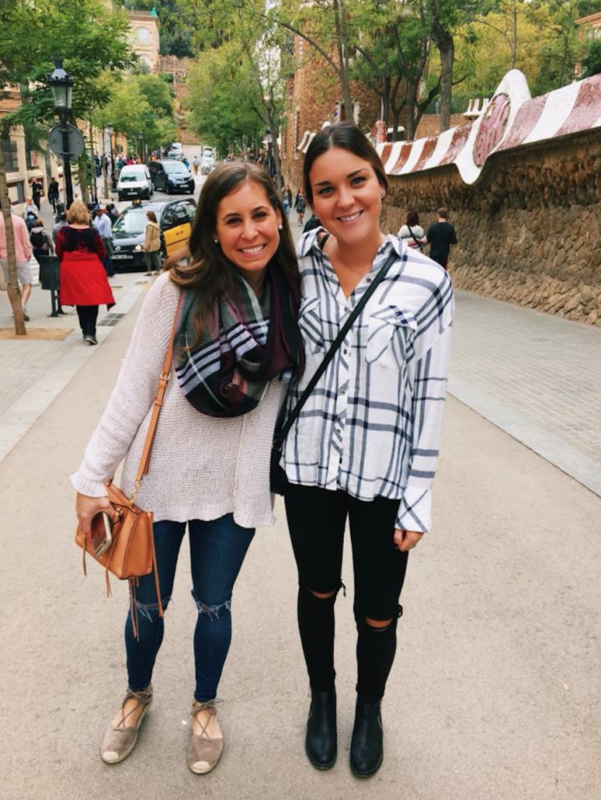 Surprisingly enough, one of the biggest cultural differences I have encountered since being abroad is the dress code between Americans and Spaniards, specifically the difference between college students. Two friends in their outfits from school! In America, it has become very normalized across college campuses to dress extremely casual. There are less people that actually pick out a real outfit for the day than there are people who either wear leggings and a sweatshirt, or people who don’t even try and just roll out of their bed in pajamas. For me at home, you will often see me in leggings and a comfortable shirt or a shirt from my sorority. Sometimes I choose to wear real clothes, but that happens less often than me wearing casual clothes or workout clothes. In Spain, it is considered trashy and grungy to wear exercise clothes or sweatpants as your outfit for the whole day. Around Barcelona, you will notice that not only every adult looks completely presentable, but also every student. I have noticed people my age putting a lot of effort into their outfits, often showing off the latest trend. It is evident that fashion and style are highly valued, not just for girls but for boys too. I don’t think that this means Americans value fashion and presentation less, however, our everyday norm is much different. Interestingly enough, it is so uncommon for people to constantly be in real clothes, that people even shower and change and get ready for work at the gym before leaving again—so there is not even a trace that they worked out. 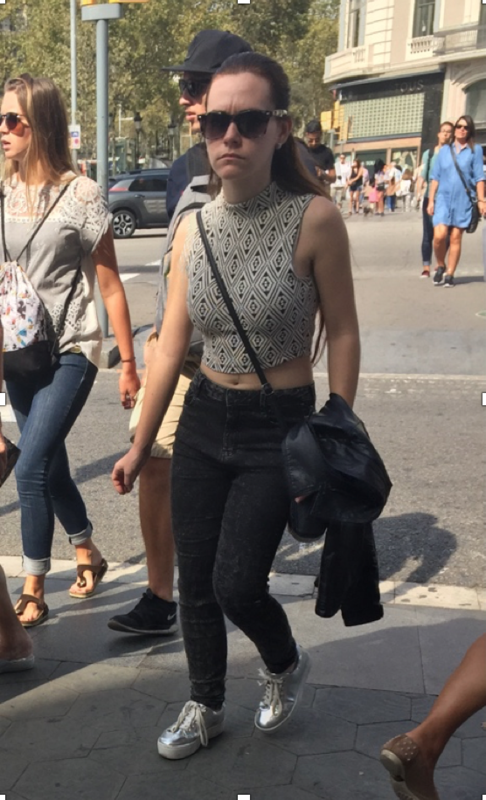 In order to fit into your host city, for example Barcelona, I definitely recommend packing many more real and presentable clothes rather than comfortable clothes and exercise clothes. A few comfy clothes can get you a long way, and saving more room for shirts, sweaters, and jeans will ensure that you can fully immerse yourself in your host culture, and give it your best shot at becoming more like a local. P.S. I strongly recommend leaving room for shopping, because the stores in Europe have a lot to offer for both guys and girls!! 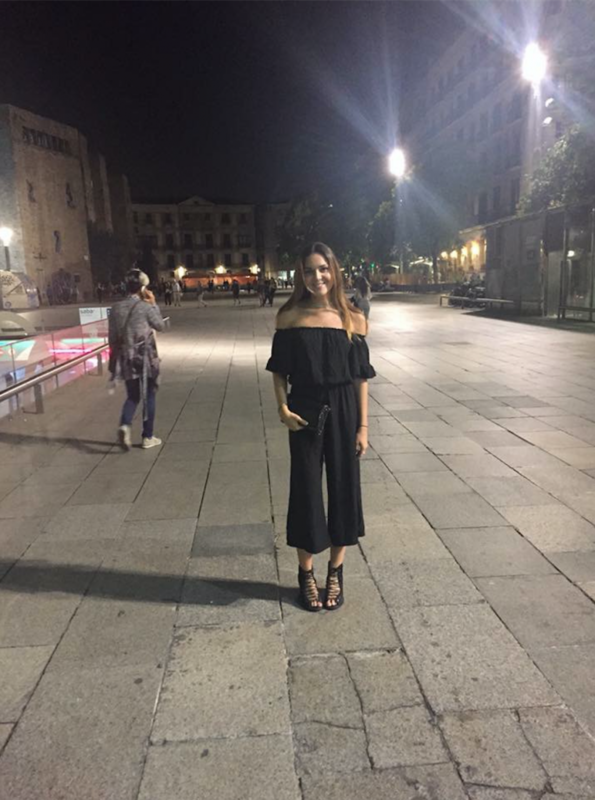 My friend dressed in a black jump suit to fit in with the locals! Elizabeth C is the Fall 2016 CEA MOJO in Barcelona, Spain. She is currently a junior studying American Studies and Marketing at Miami University. 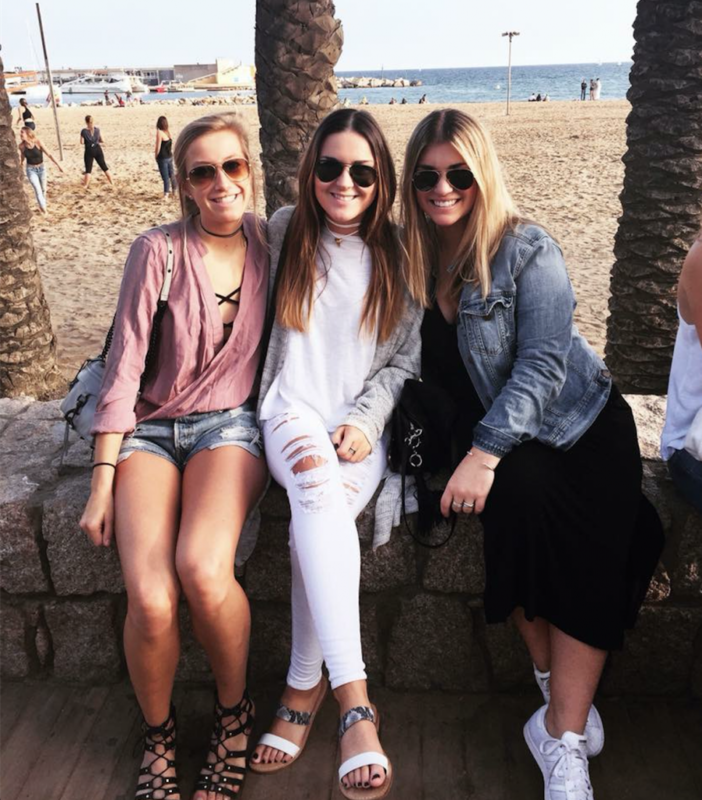 Elizabeth Colwell is the Fall 2016 CEA MOJO Blogger in Barcelona, Spain, and is currently studying at Miami University.